The official notification for the SSC CPO 2018 exam was released a few days back. Here, we bring to you the previous year’s SSC CPO cutoffs for all stages of the exam of the year 2017. You can use this information to understand where you stand at present and how to better strategize your preparation to reach your goal. 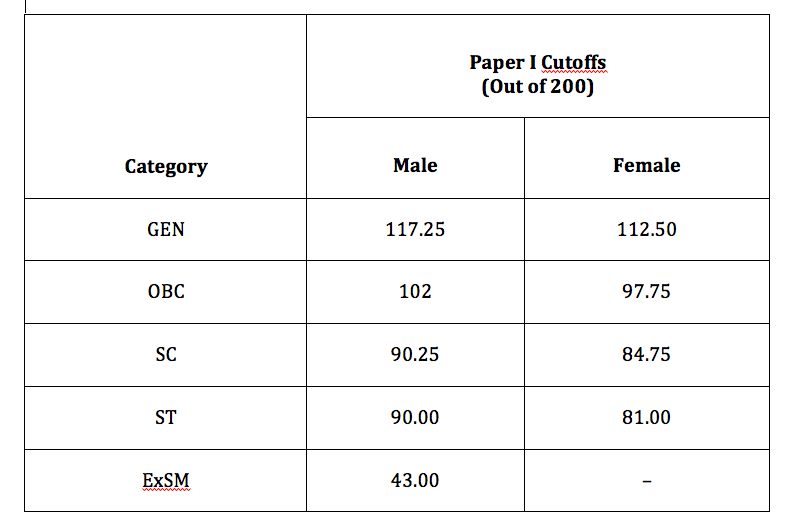 Following are the cutoff marks of paper I of SSC CPO 2017 exam. Following are the SSC CPO Cut off marks in Paper-I + Paper-II 2017 for both male & female candidates. *Note that these numbers are based on the data from the official announcement. Ace the upcoming SSC CPO 2018 Exam with OliveboardSSC CPO 2018 Mocks. Now, avail 50% off for limited period. Use coupon code RRB50 after login.